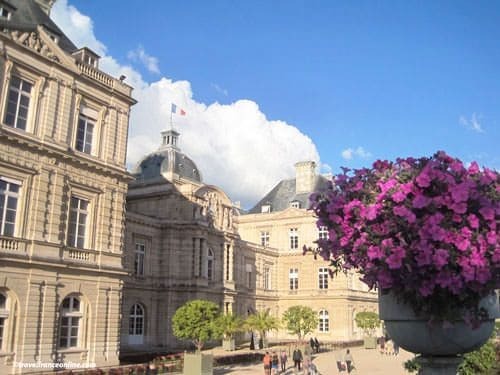 The Luxembourg Palace is the seat of the French Senate. However, the architect Salomon de Brosse initially designed it for Queen Marie de Medici in the early 17th century. The area was then rural and dotted with few buildings such as the Enclos des Chartreux, a monastery King Louis IX founded in 1257. In 1610 Marie de Medicis bought some of the monastery's extensive gardens, as well as the nearby Palace of the Duke of Luxembourg. She then commissioned Salomon de Brosse with the construction of a palace identical to her childhood Palazzo Pitti in Florence. Rubens decorated the interior with a series of 24 paintings illustrating the queen's life. These are now exhibited in the Galerie Medicis in the Louvre Museum. 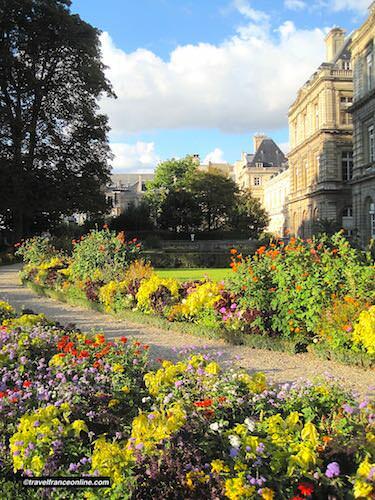 The Enclos des Chartreux ' church, cloisters and various monastic buildings were demolished at the French Revolution to extend the Luxembourg Palace's gardens. The building escaped demolition as it was converted into a prison in 1793, then became the seat of the Parliamentary Assembly from 1795 to 1797. Napoleon I moved the Senate in the Luxembourg Palace in 1801. 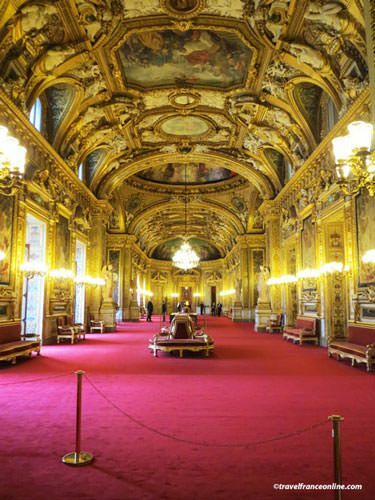 The building then became the seat of the House of Peers from 1815 until 1852, when Napoleon III re-transferred the Senate to the premises. 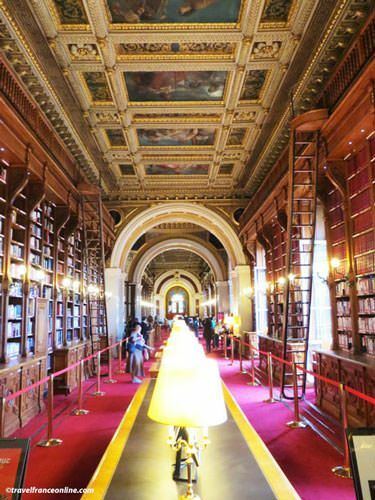 Extensive restoration and transformation works were undertaken throughout the 19th century. Chalgrin indeed restored the interior in 1804. 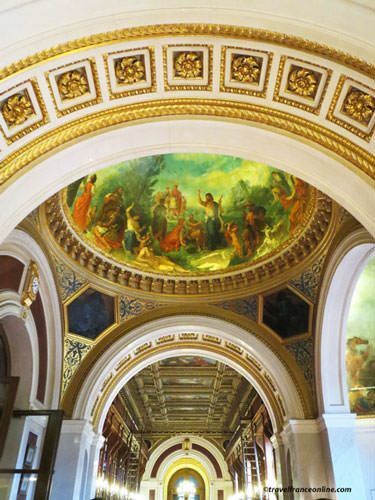 From 1836 to 1841, Gisors built a new facade, the two pavilions that flank the courtyard and the cupola above the main entrance and Delacroix produced the library's stunning murals. Finally, the palace was entirely refurnished in Louis-Philippe style. The Orangerie was built during that time. 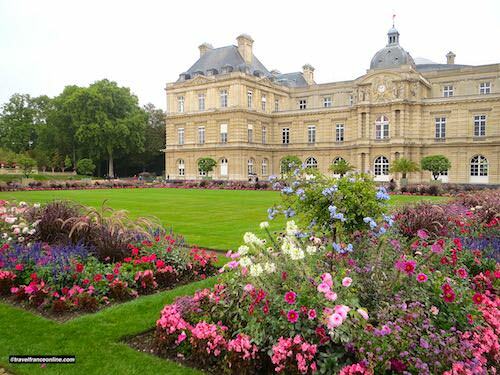 The gardens of the Luxembourg Palace are ranked among the most elegant of Paris. The public park stretches over 24 hectares and is landscaped into a formal garden and English garden. 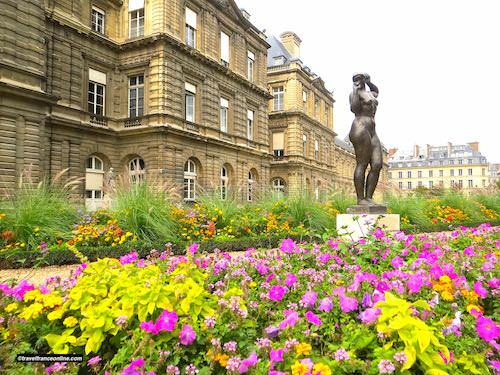 The Jardins à la Française are landscaped with manicured lawns that frame an oval basin; they are delineated with colourful flowerbeds whose themes and colours change each year! The romantic English style gardens spread on the western side, and the experimental orchard in the south. 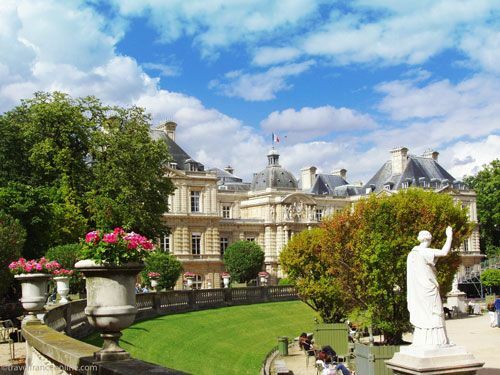 The Luxembourg Palace public park is very popular as it provides a beautiful oasis of greenery in the heart of Paris; it's a perfect destination for a lazy sunny afternoon! You'll find chairs (free for all to use) along the basins and flower beds to enjoy a little break in the sunshine. 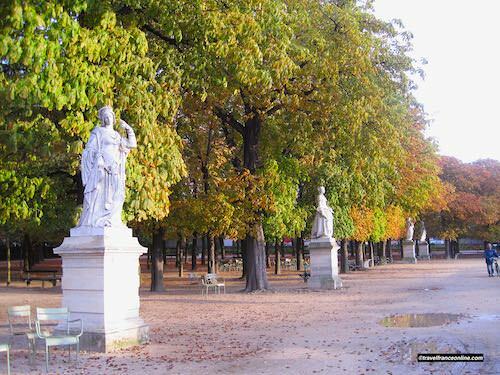 If you prefer the shade, you'll also find as many chairs in the wooded areas, along the sandy paths that crisscross the park or by the many statues that adorn them. You'll also find several kiosks that sell refreshments. Finally, your children will love it as they'll be able to run free or get a ride on the merry-go-round. 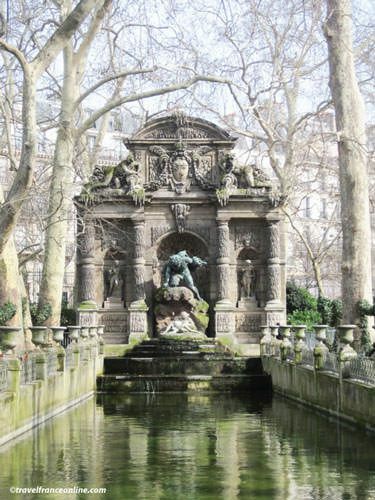 One of the landmarks of the park is the Fontaine Medicis, which Salomon de Brosse designed for Marie de Medici In 1634. Sadly, by the mid-1750s the fountain and its elongated basin had fallen into disrepair and lost most of its sculptures and decorations. Napoleon I commissioned its restoration in 1811, but the major transformations occurred under the Second Empire. Indeed, the architect Gisors transferred the fountain to its current location (eastern side of the palace) where it placed it against the Fontaine de Leda to stabilise it. The two fountains are therefore back to back. The fountain's monumental facade is topped with the Medici's coat-of-arms and adorned with four columns that delineate three alcoves. Two allegoric statues representing the river Seine and the Rhone pouring water frame the coat-of-arms. The lateral niches respectively contain the statues of a faun and a female hunter, each topped with a mask representing Tragedy and Comedy. Finally, Auguste Ottin sculpted the stunning centerpiece: Polyphemus surprising Acis and Galatea. N.B. 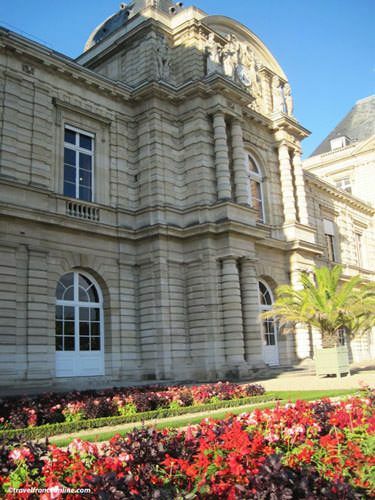 The Senate - Luxembourg Palace is open to the public only once a year, on Heritage Weekend in September. The Petit Luxembourg, at no.17 Rue de Vaugirard has been the official residence of the President of the Senate since 1825.